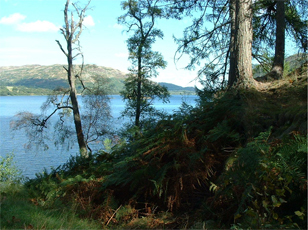 In 1890 engineers blasted through Stybarrow Crag to facilitate lakeside access from Penrith to Glenridding. Stybarrow Tearrace was built using stone from the excavation. The cottages were originally accommodation for miners working at the nearby Greenside mines. We are a non smoking establishment and we regret that we are unable to allow pets. Over the past three years No 5 has been refurbished and decorated and now offers a twin/super king room with private facilities. Bathroom across the landing. The bedroom has a colour TV and coffee making facilities.